New! Workshop eBooks! First one coming soon! One of the most frustrating things that has happened since I downsized my studio last year is having to tell friends that the workshops are sold out. I mean, it’s sorta good, since it means that people like them (yay, thanks!!) but I want to share some of my favorite workshops, old and new, with everybody. So here’s what I decided – what if I take the workshops to YOU? I have to plan them and do demos beforehand anyway, so I might as well video them while I’m doing it. They’ll be fun for people who can’t get into the in-person workshops (like Penny), and they will be a good review for those who have already worked with me. And they’d be cheaper than the in-person workshops. This one is almost finished. It has eight sections of step-by-step instructions and photos on making the mixed-media Talisman. It has eight short Vimeo videos of me showing you how to do stuff (including my usual goofy comments). And it has resources on where to get everything you need for the workshop. OK, back to reality – this is an experiment, I’m having fun with it, and I hope you like the idea. As far as this book’s availability, it should be finished by this coming Monday. 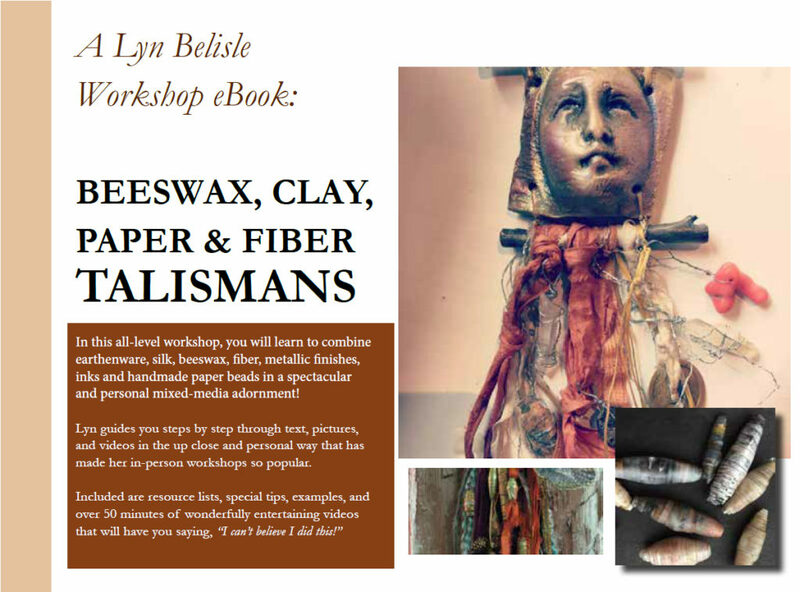 If it’s a success, I’ll plan on more Lyn Belisle Workshop eBooks in the very near future, probably starting with the NeoSanto Workshop so you’ll get to join in the fun even if it is sold out. So what do you think? Thoughts? Suggestions? Dire warnings?? Thanks, as always, for following me on SHARDS, and stay tuned for the Talisman Workshop eBook release on Monday! 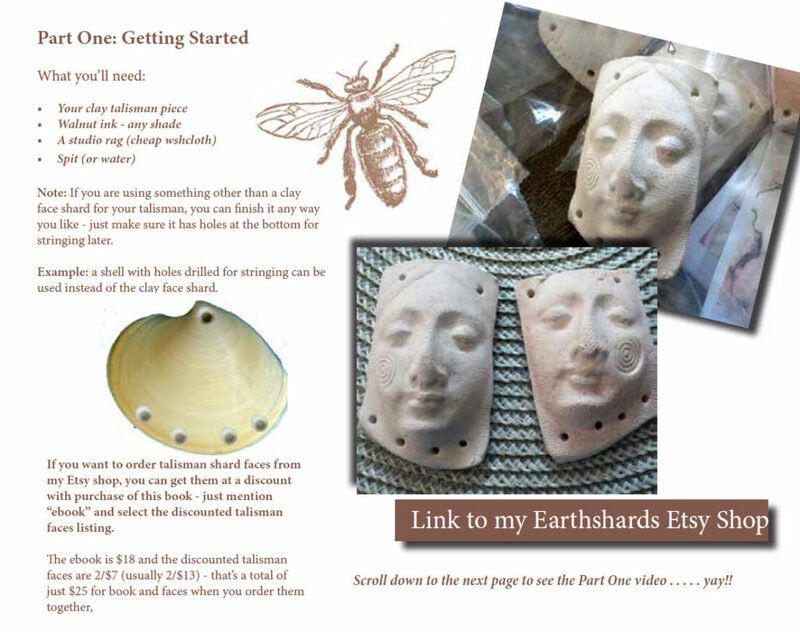 This entry was posted in online lessons, Teaching, videos, workshops and tagged ebook, talismans by lynbelisle. Bookmark the permalink. AWESOME that is! The COMMENT box hid my typo. May be hiding one now too! LOL! Thanks, Gaye – I’ll want your feedback! Lucky me – already have the talisman ebook! It is fantastic! Everyone – order it right now. You so t regret it. So much information for such a small price! Yeah! Sign me up for the ebook! Thanks, Barbara – I’ll want your feedback, too! Brace yourself for becoming an international artist celebrity. Yes please – loved your courses for Artful Gathering. Your sense of style and composition is delightful so yes! Thanks so much, Julie – I’m excited too!! Absolutely fabulous to hear this news! You are always thinking, and I love it! We’ll see how it goes, but it’s fun and keeps me more organized. WONDERFUL! I’m going to order every one you produce. 🙂 Thanks for all your inspiration and generosity with sharing your creative self. Yaaaaaaayyy!! I love your work and I’m signing up for both of your classes this year at Artful gathering. Count me in on the e-books, too! Excited! Terrific idea(s)! I’m aready to sign up for the taliesman e-book right this very minute and neosantos as soon as it’s available. As always, Lyn, you’ve got your finger on the pulse of the creative future! Yay! Yay! Yay! Can’t wait!!!!!! E-courses are great!!!! Did I mention – YAY!!! Woohoo! Can’t wait! Love your work but live far, far away. Thanks! I agree completely with your entire fan club…this is a stellar idea and would allow you to have a MUCH larger audience. I am really excited to see you taking that step…so many of us live to far away to actually get to your hands-on workshops. I would love to see you creating one for your “Postcards to Myself” workshop. Everything you do is so very creative and amazing! So delighted you are doing this…Monika is right…prepare for international success…you have a lot of admirerer’s. Woo hoo! Thrilled to hear this! I will share far and wide!!! I think this is a fabulous idea, Lyn! 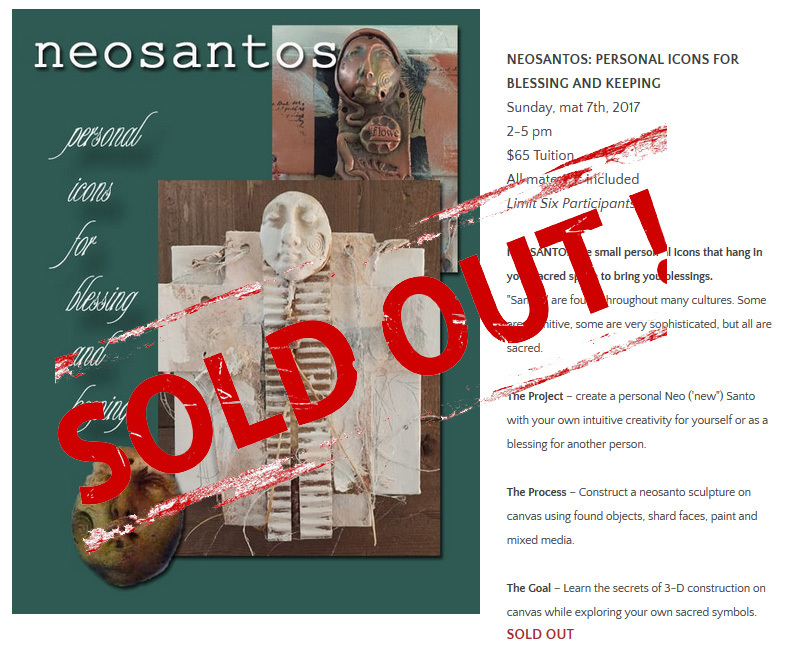 I live here in San Antonio and have always found it difficult to get into your workshops – they were always “Sold Out”! With the E-book Workshops, everyone (including me) can participate, whether we live near or far. Or, whether there are 10 or 10 thousand attendees (I’m thinking positive). YAY!! This e workshop sounds wonderful to me. 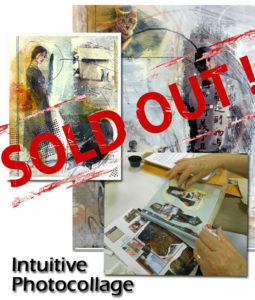 As a BIG fan of Artful gatherings workshops, all I can say is HURRAY! I will be signing up as soon as your workshops are available! Lyn, How exciting! I would love to buy one of your ebooks or more than one. Can’t wait! Sounds like a fantastic idea, you are so creative! I know it will be a big hit. DISQUE BUTTERFIELD 8 – ELIZABETH TAYLOR – LEGENDADO. you’re in reality a excellent webmaster. The web site loading pace is amazing. It sort of feels that you’re doing any distinctive trick. a fantastic process in this matter! In fact hee talked about the value of water management and exactly how it can be useful and effectively done iif the research is also done about the regions of emerging food processing technologies. it could be very tough to keep pace with the generation coming ahead. the Slingbox by allowing the link and power over arounnd four audio-visual sources as well as providing an internal Freeview DBV-T tuner for basic cable connections. policy for their ink job. Why loose time waiting for two months or higher before an authorized copy is going to be released. Deathly Holpows Part 2, which have a gap weekend with $169. have got much clear idea on the topic of from this post. fine data designed for readers. I handle such info a lot. I was seeking this certain information for a long time. friends on the topic of this paragraph, while I am also keen of getting familiarity. thing is maintained over here. go to see this website and be up to date all the time. I’m really loving the theme/design of your blog. Do you ever run into any internet browser compatibility issues? A small number of my blog readers have complained about my site not operating correctly in Explorer but looks great in Chrome. Do you have any tips to help fix this problem? I’m really enjoying the theme/design of your website. of my blog audience have complained about my site not operating correctly in Explorer but looks great in Chrome. Greate article. Keep posting such kind of information on your blog. Q48 é maior programa de emagrecimento no Brasil. Unquestionably believe that which you stated. Your favorite justification appeared to be on the net the simplest thing to be aware of.